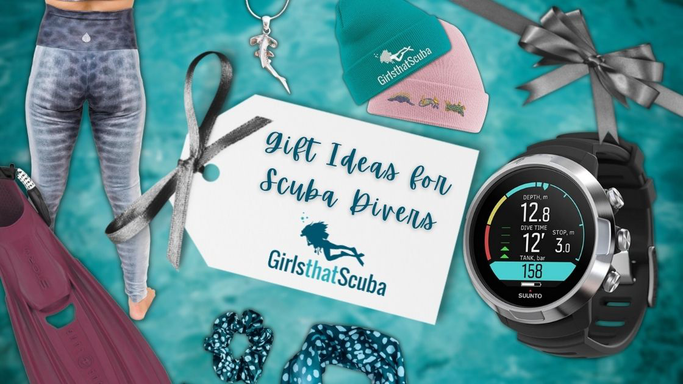 It's never hard for us to come up with a scuba dive gift wishlist, we pretty much want everything scuba related all the time, but here are some of our favourite scuba dive gifts that we have all been lusting over at Girls that Scuba for a while now. 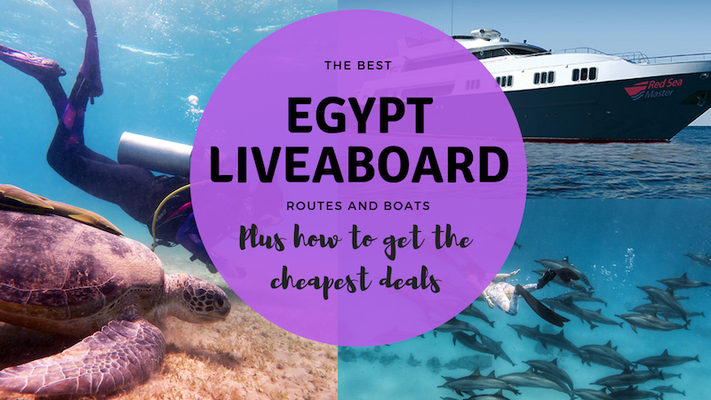 And remember scuba diving is not just for Christmas!! Underwater photography is a big topic in Girls that Scuba. And price is a big factor! 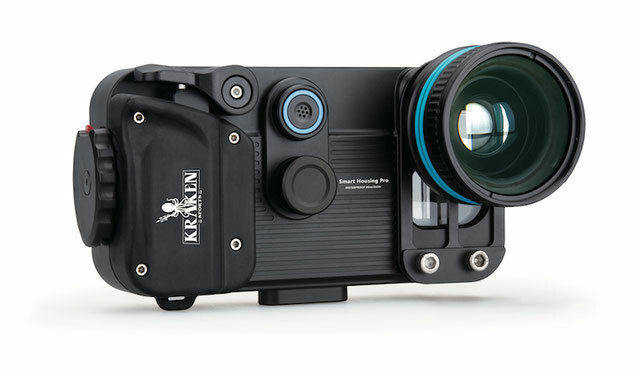 A lot of us want to get into photography but simply cannot afford the price of the housings. Here's where phone housings come in. You can pop your phone into an incredibly secure housing like this Kraken one and take your phone down with you. Wit the Kraken there's no worry of flooding your phone - it's pretty much impossible and you'll be able to get all the photos you get online now underwater! The best part? They start from only $299! We're all about the colour at GTS and we recently saw some great colourful fins at Atomic Aquatics when we visited them at DEMA scuba show! Teal is definitely the colour of the scuba season - if that's a thing! Pretty much the only scuba-related accessory you can wear in and out of the water (although we would happily go to the office in full scuba gear if it meant we could go diving quicker). We have to admit, a scuba necklace is the one thing we all lust after, and look so pretty underwater. 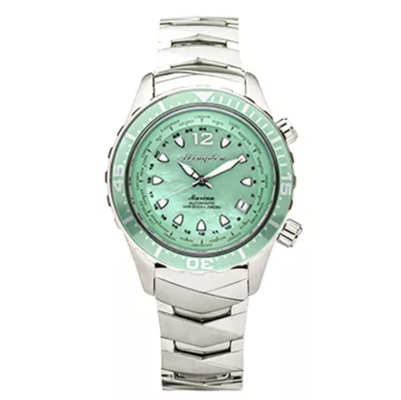 There's a few things we love about Abingdon dive watches, and it's not just about the way they look: "During a roundtable dinner conversation between a mix of energetic women pilots and airplane mechanics pilot and company founder Chelsea “Abingdon” Welch listened as her colleagues repeatedly expressed their desires for a fully functional aviator’s watch that is fashionable, versatile and, most importantly, made for women. 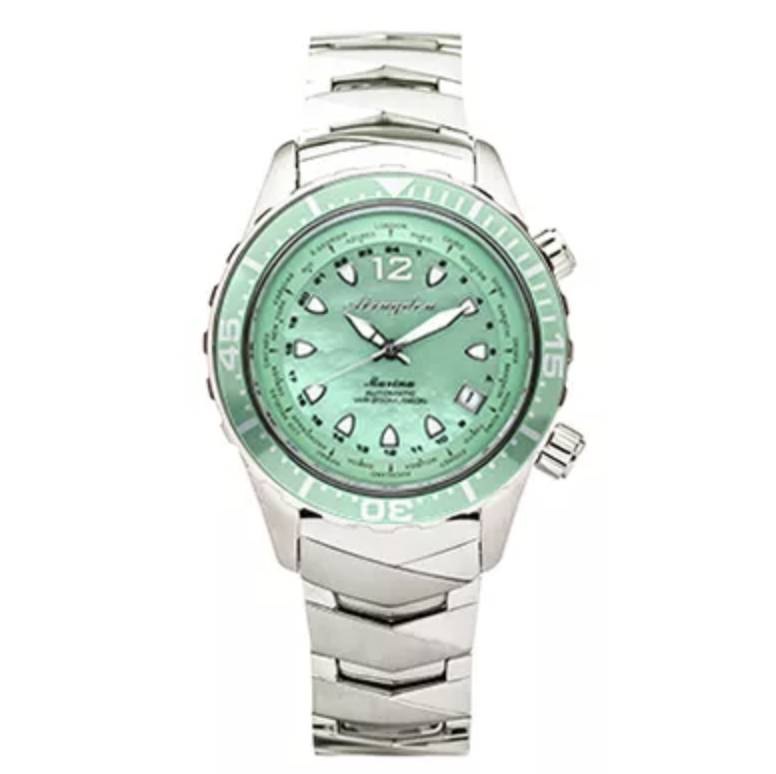 In that moment, Abingdon decided to form the first company dedicated to developing top quality, realistically priced watches to meet the needs of female pilots, mechanics, and adventurous women all over the world." 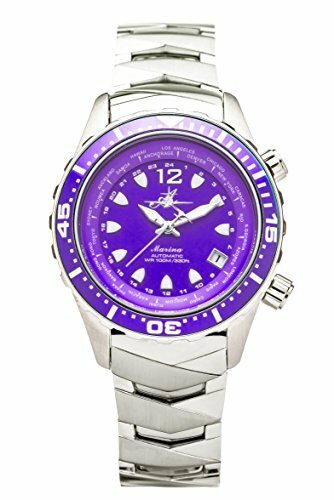 They've recently launched their dive watch and we LOVE IT. We love what it stands for and we love how nice it looks on our wrists. We wear our female designed dive watch with pride, in and out of the water. Scubalooks is a lifestyle brand that celebrates both the joys and struggles of being an aqua fanatic. They are one of the only scuba brands out there that just concentrates on clothing - no gear, no dive holidays. Their "Fair Wear" clothes are the highest of qualities and allow you to wear your scuba addiction outside of the water! It's almost a daily topic on Girls that Scuba: "how can I find a wetsuit that fits me?" you could of course trawl through every brand and see if they have your size, but when ever does a standard size really fit. Last year we were introduced to the guys who started Kalypse a custom made wetsuit company who not only catered to every size, but also design wetsuits in so many amazing colours. We believe custom wetsuits are the future of diving, and possibly the best gift you could receive or give to yourself. 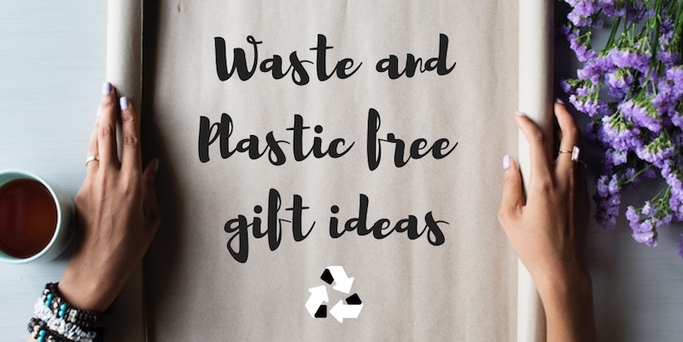 ALL GTS products are 100% plastic- free; products and packaging! Whatever the water temperature this versatile wetsuit from Truli Wetsuits can be used to layer up or cover up. Fleece lined to keep you warm and sleeveless to allow more movement we love everything about the design. The best part? 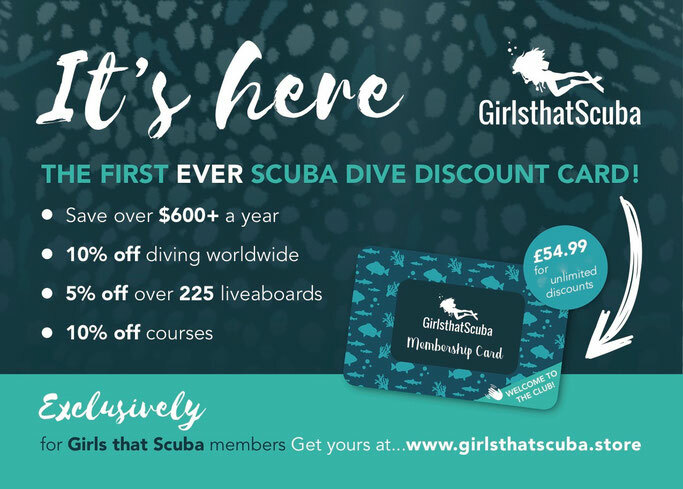 They are created by our very own Girls that Scuba member Mia and come in ALL sizes! If you apart of our GTS membership card you will get 10% of ALL WETSUITS at Truli! Ok, so it might not be the most glamours of gifts, but have its some what of a nessacity for ladies with long hair. Ok, it is plastic, but we've yet to find a wooden one of these yet, and it's not single use. So take care of it and have it forever! Ready to add some colour and fun into your dive wardrobe? Maybe we are biased but we love our GTS whaleshark-inspired rash vest so much! It is home-made, so soft and comes packaged completely plastic free! Get yours here. 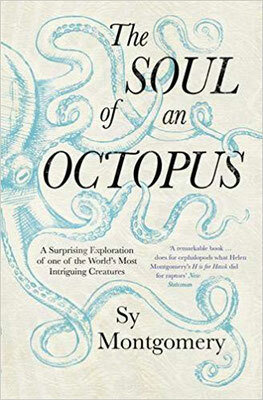 The soul of an octopus: "In "The Soul of an Octopus," Sy Montgomery immerses readers into an intriguing, seductive world just beneath the ocean waves and the lives of the creatures living within. In this beautifully written book, she brings empathy, insight, and an enchanting sense of wonderment to the bonds we inherently share with other beings even those seeming far different from us." 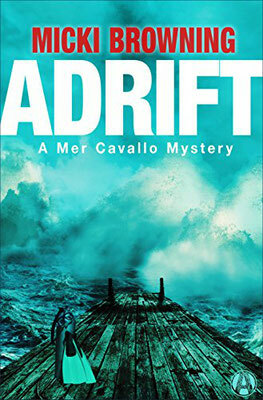 --Vint Virga, DVM "The Soul of All Living Creatures ""
Adrift: A Mer Cavallo Mystery: In this breathtaking mystery debut, marine biologist–turned-divemaster Meredith Cavallo stands accused of a chilling crime after a dive gone wrong. But do the murky circumstances point to an accident, a murder, or a supernatural encounter? 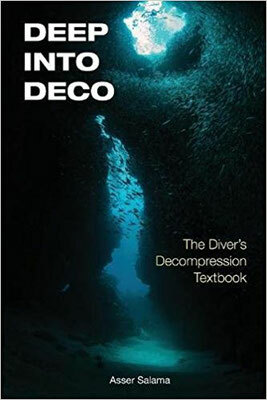 Deep Into Deco: The Diver's Textbook: Deep Into Deco is a comprehensive and well-written reference text that covers the various topics of decompression theory. What makes this book truly stunning is that it is not only straightforward, easy-to-read and understand and free from technical jargon, but it also portrays the latest developments and controversial issues in technical diving. Interested in reading more scuba/ocean related books? Join the GTS Book club! Sexiest dive computer ever? We think so. I'm pretty sure you'll be in her's/his good books after this gift! 10% of profits of these bags go to Plastic Ocean. Made from 100% Organic Cotton. BUY HERE. A print in collaboration with the Shark Research and Conservation Program at the University of Miami, inspired by one of the ocean's largest predators. Waterlust leggings aren't only gorgeous but are made of 86% recycled polyester, 14% lycra, giving 10 post-consumer plastic bottles a positive future, and printed using dye-sublimation, an environmentally friendly process which uses no water and minimizes waste. If you apart of our GTS membership card you will get 10% off EVERYTHING online at Waterlust!! Yeah, we know.. so awesome! Cutest thing ever and no plastic tea bags? Score! And under $10! 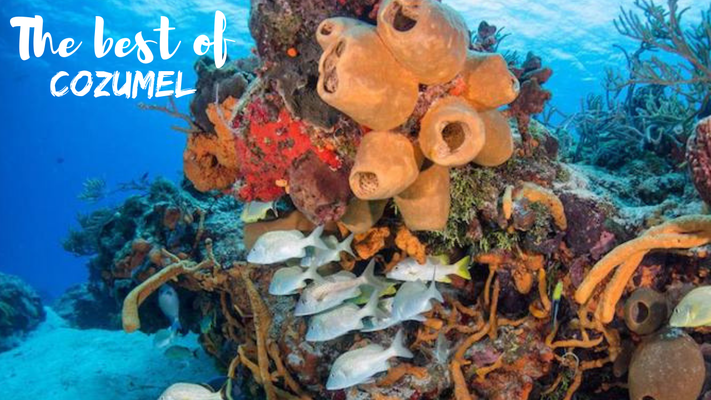 We'll take 1 for every scuba friend! Slipin's bring fun into diving! 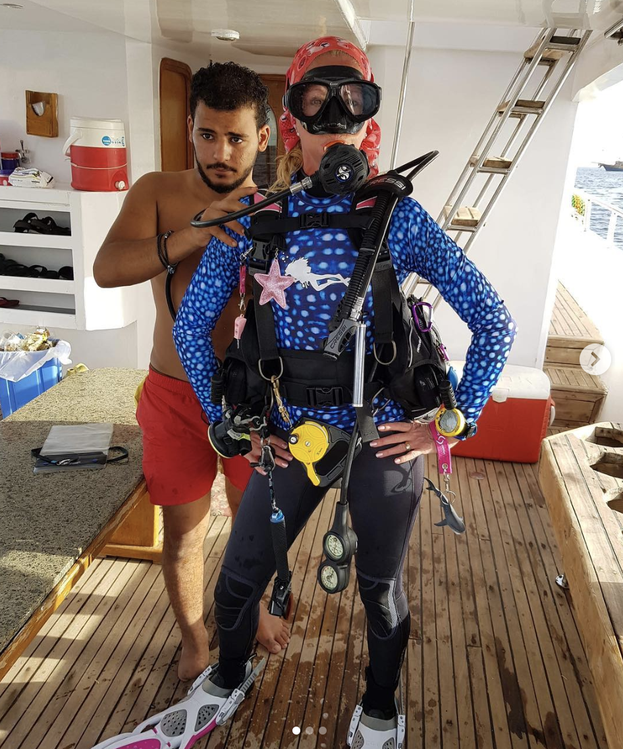 There prints and pieces are so bright and colourful you'll never go unnoticed on the boat - owner Robin, a Girls that Scuba member is definitely one of us!! GTS membership card holders get 20% off everything online!! Getting changed where there are no bathrooms just got easier. 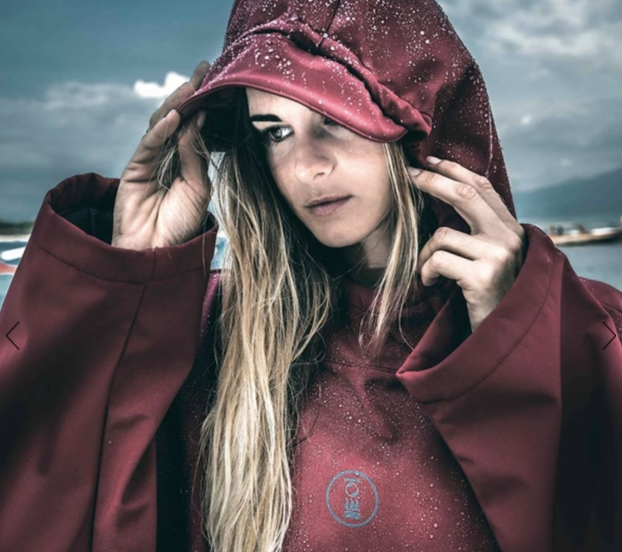 This all weather poncho by Fourth Element Ocean Positive is warm, fast drying and packs down small, enabling you to take it anywhere. Throw it on to get changed into your wetsuit at the beach or on the boat. Use it to warm up after a session in the water or to cover up between dives. The waterproof, fleece-lined fabric is lightweight, cosy and manufactured using an environmentally friendly, fluorine-free waterproofing treatment. Don't we all need a shark beanbag in our life? Great for the kids too! The Dive Proof log book is a revolutionary product in the recreational scuba diving industry and has been designed and handmade by diving instructors as an overhaul of current log books on the market. The Dive Proof log book is 100% waterproof, grease proof, tear proof, wipeable, and chemically and UV resistant and can be written on with normal ball point pens and pencils. We love them so much we got them to design our very own GTS log books for sale here. The Aigo Logik Collapsible Silicone Water Bottle is 750mL of BPA-free medical grade silicone that can be rolled up compact to take anywhere; office, gym, scuba boat, all your adventures and all your travels. We love how small they roll up to and how easy they are to throw in your scuba bag. Not to mention encouraging us all to avoid plastic bottles for good! "Plastic Oceans Foundation engages people of all ages, in all social situations, to understand the danger of continuing to perceive plastic to be disposable. Once they become aware of the ultimate threat to human health, it will become a personal choice to prevent plastic waste from entering the environment. We plan to tackle this issue, through an awareness campaign using film and media – our documentary feature film, A Plastic Ocean. We will continue to spread the message of the film activating students through education, engaging with industries through entrepreneurship and partnering with global organizations actively changing their communities."